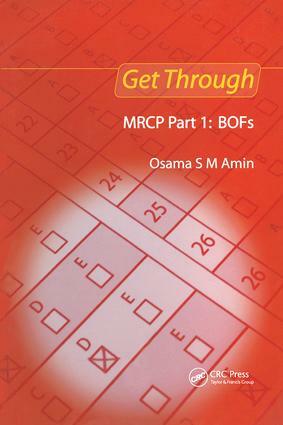 Get Through MRCP Part 1: BOFs provides over 600 questions and answers, allowing the reader to test their knowledge in preparation for the MRCP Part 1 examination. Questions are presented in the style used in the real examination, and answers are supplemented with useful additional explanatory material to help the reader understand why their answer was right, or wrong. The book offers a useful review of all elements of the syllabus, so the reader can feel fully prepared when they enter the examination room.